As of 3:27PM EDT. Market open. Investors are taking Lyft to court. Two separate class-action suits were filed yesterday, claiming that the ride-hailing company overstated its market position when it went public last month, according to a Bloomberg report. Yahoo Finance's Adam Shapiro and Julie Hyman discuss with the panel. Stocks advanced ahead of a holiday weekend, with market sentiment divided between two technology initial public offerings and the long-awaited release of special counsel Robert Mueller’s report on Russia’s election meddling. As Pinterest hits the stock market, many wonder how the company will sustain growth. David Trainer, CEO of New Constructs, joins Yahoo Finance's Dan Roberts, Sibile Marcellus, and Heidi Chung to discuss Pinterest's path to profitability. Two highly-anticipated tech companies will make their public market debut Thursday, Pinterest and Zoom. Yahoo Finance's Myles Udland discusses what to watch in tomorrow's market. 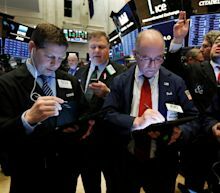 U.S. stocks ended a choppy session slightly lower as investors considered stronger-than-expected economic data from China and a latest batch of corporate earnings results. In a sign of the strong demand for the offering, Zoom raised its pricing range earlier this week to $33 to $35 per share, before pricing at $36 on Wednesday after the close. Shares were recently changing hands at $63 a share. Zoom Video is one of two multi-billion dollar tech IPOs to debut on Thursday. Pinterest stock soared after its IPO, but beware. The stock opened way above the offering price. The problem is that is what most people have to pay to own the stock. Uber Technologies is planning to sell a 14 percent stake in its autonomous vehicle unit to existing investor Softbank, Japanese automaker Toyota, and auto parts manufacturer Denso ahead of its much-anticipated initial public offering (IPO), which is expected to happen in May. Though it could be argued that Uber's self-driving car unit holds the ticket to Uber's eventual profit realization, replacing all human-driven taxis on its payroll is currently more utopian than a reality. The self-driving unit has had a prickly past, with Uber spending over $20 million a month on its development since its inception in 2016, and a total of over $1 billion on the unit – thus making it a constant in the company's mounting overall cash burn. Uber's hopes had a major jolt in March 2018, after one test run in Arizona ended up in an accident, killing a pedestrian crossing the street. Pinterest begins trading on the New York Stock Exchange under the ticker "PINS," debuting at $23.75, up 25% from its IPO price. The social media company is popular with moms, according to its IPO prospectus. 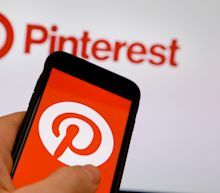 The bump pushed Pinterest's market cap above $12 billion after it was initially priced at $19 per share, which had valued it at $10 billion. "The rights of the holders of Class A common stock and Class B common stock will be identical, except with respect to voting, conversion and transfer rights," a Pinterest company filing states. "Each share of Class A common stock will be entitled to one vote.